Polly Duncan is off to Paris, temporarily leaving Jim Qwilleran without his lady companion. Good thing there's lots to keep Jim busy. Like a mysterious death from a bee sting that leaves everyone but Koko the Siamese in a state of confusion. 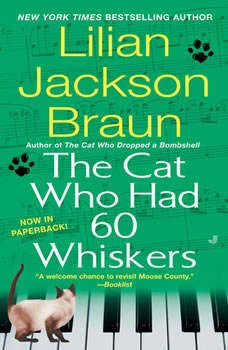 If only the kitty with sixty whiskers would stop pussyfooting around and let Jim in on the deadly secret.